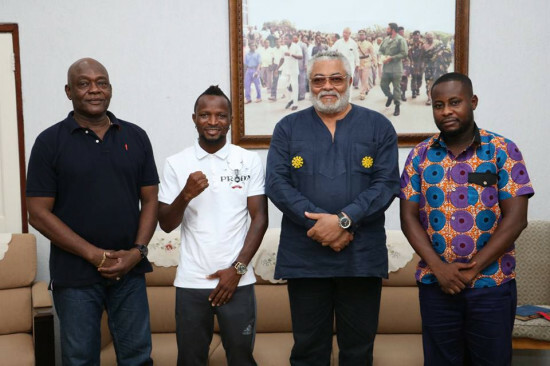 Promoter Mitch Kobla Woollams, who’s the CEO of Aborigines Promotions said all is set for the Keta showdown when he and Joseph Agbeko called on the former President last Thursday to invite him to the event. 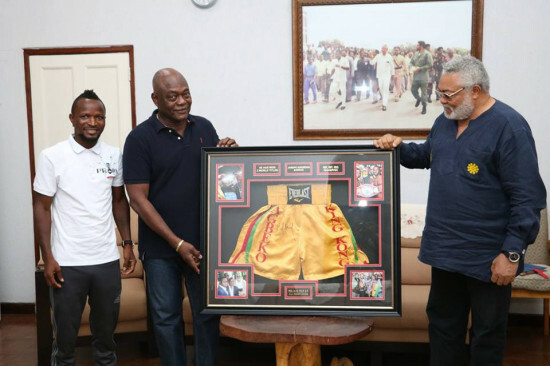 Earlier Joseph Agbeko said he was inspired by the former President hence his decision to call on him prior to Friday’s bout. 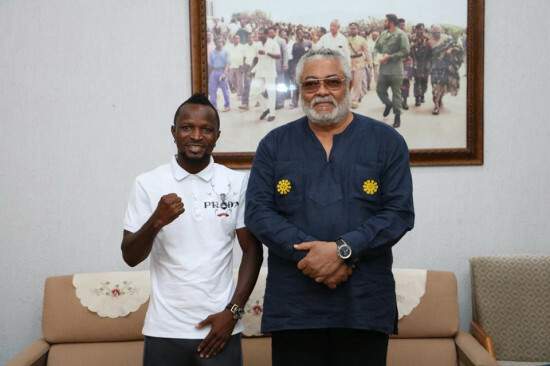 He said he was looking forward to a walk with the former President because a few years ago he saw an awe-inspiring photo of Azumah Nelson with the former President that has stayed on his memory for long and looked forward to a similar opportunity.